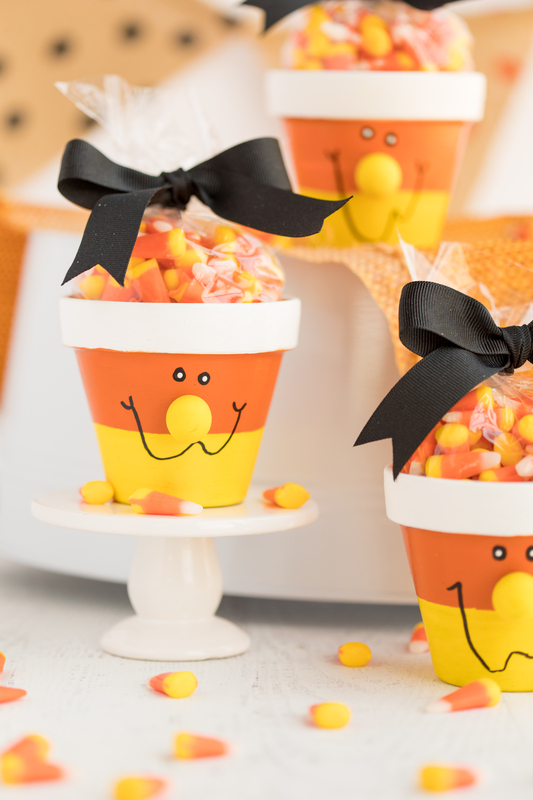 These Candy Corn Candy Pots are a fun fall craft to make, even the kids can help! 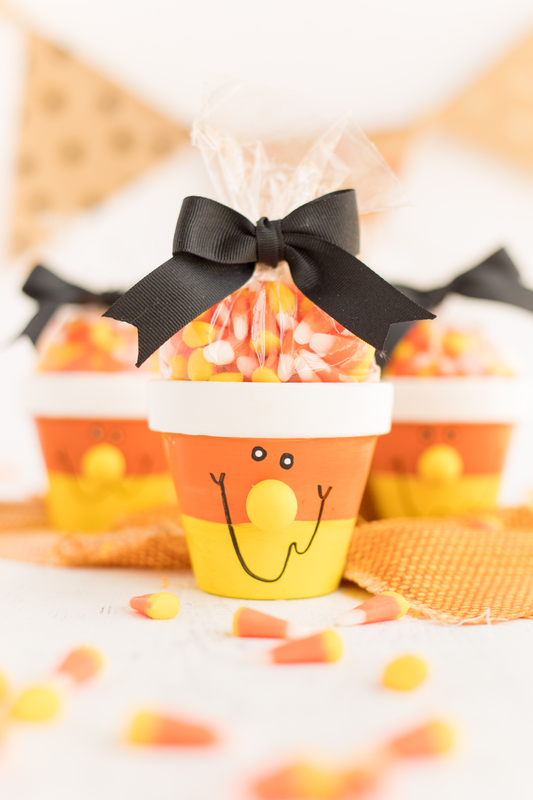 A simple terra cotta pot painted as a candy corn and filled with candy makes for a perfect gift for friends, family members, and teacher! 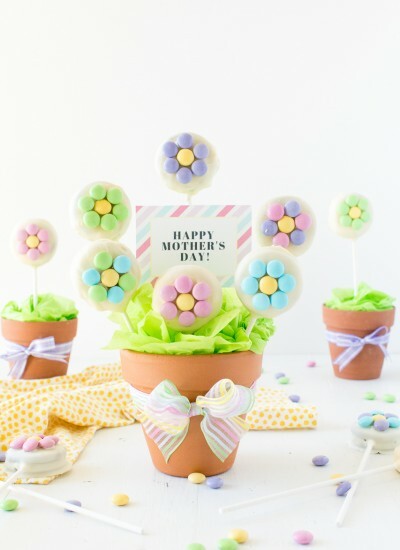 We love using terra cotta pots as a base for a fun candy gift idea! 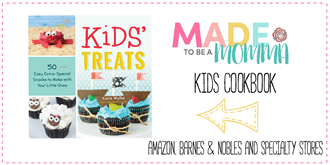 You may remember our Thumbprint Butterfly Candy Pots or our Fathers Day Kids Art Candy Pot. 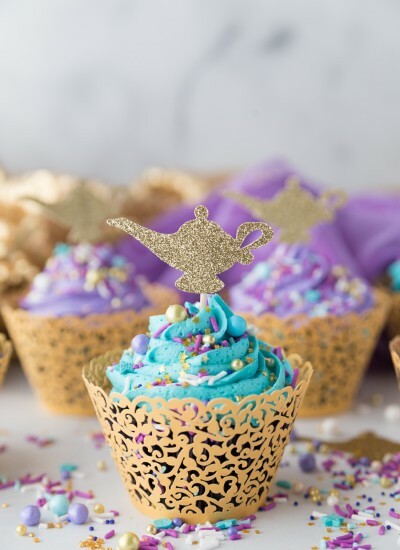 Most Dollar Trees have 2 packs of terra cotta pots at their store which makes all of these ideas a simple and inexpensive gift idea. We decided we needed to add a fun and happy fall character face for another fun version to share with your friends, family members or teachers. 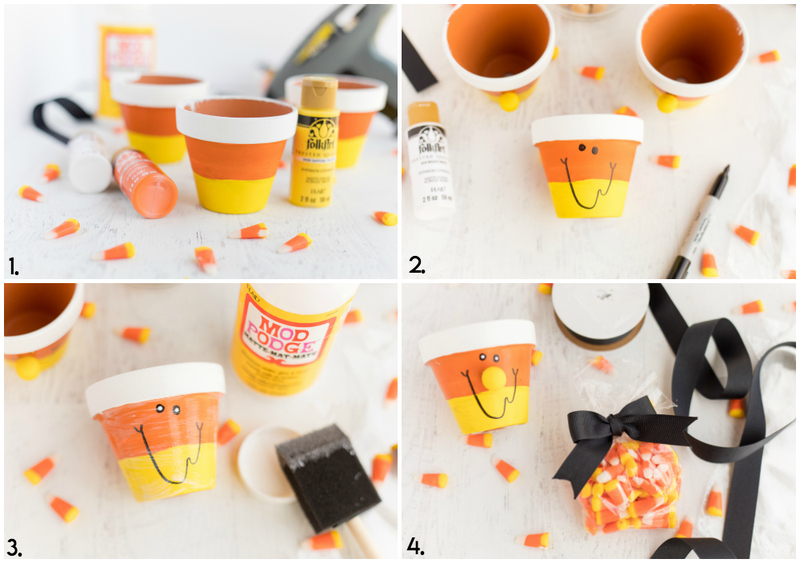 My friend Kelly made these painted candy corn pots a few years ago and I just knew that I needed to recreate them with a fun kid element. My kids love to help with craft time and many of my crafts are inspired by them and what we can do together! 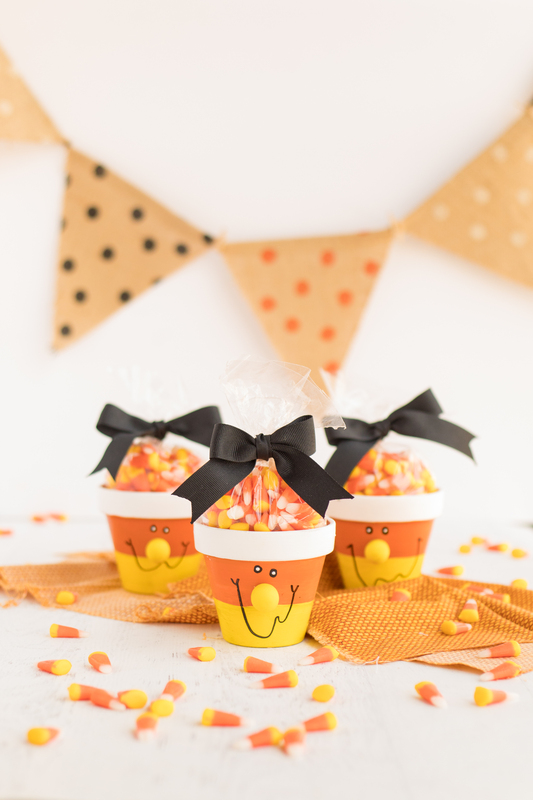 They love to paint and these candy corn candy pots are the perfect craft for little hands and what kid doesn’t love adding a knob nose and little eyes? 🙂 With a little help and direction from adults they can create these fun candy corn fellows from beginning to the end. Begin by painting three stripes on your terra cotta pot. You can use any size terra cotta pot you want. Just remember the larger the pot the more candy you will need to add 🙂 You will need three colors of paint. Yellow, orange and white. I like to start on the bottom and work my way up but either way will work. Once your paint has dried use a black permanent marker to draw on two eyes and a smiley face. Add a dot of white paint to the center of the black eyes. To be sure the paint won’t chip we like to paint on a layer of Mod Podge, Matte. You can use whatever finish you have on hand. Lastly paint the wooden circle knob, found in most craft stores, with your yellow paint. Once dry use a small touch of hot glue, adults only, to adhere the knob to the front of the candy corn candy pot. These make sure a fun gift idea for friends, family members or for teachers. 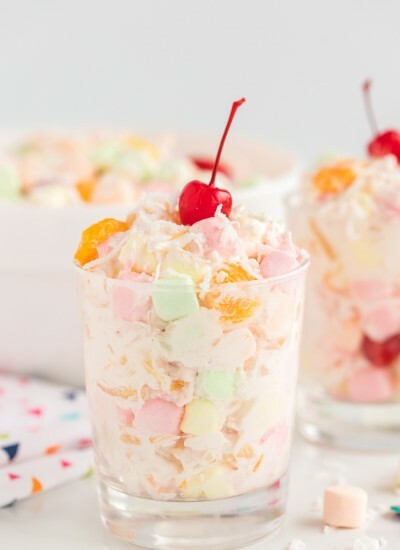 Fill it with candy corn, Hershey Kisses, Reeses Pieces or your other favorite candies and enjoy!